For those of us who live on Lake Tahoe’s North Shore and work at our business office space in Incline Village, NV, we’re all very excited to learn about the progress of what is soon to be of the most beautiful bike paths in America. 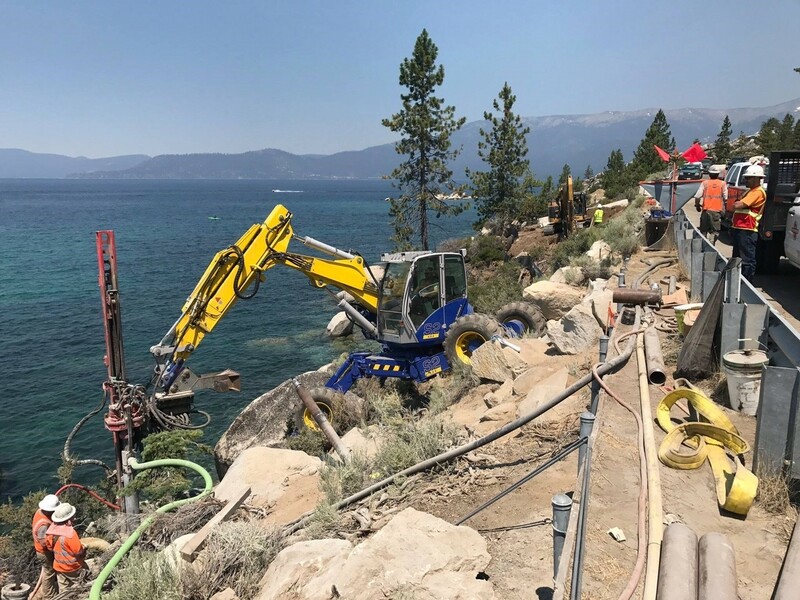 Officially, it’s called the “Shared Use Path” or “Tahoe East Shore Trail” as its construction is a collaborative effort of many local agencies – spearheaded by the Nevada Department of Transportation – who used this opportunity to repair, replace, and construct a variety of important projects. For the naked eye, one would never know about the critical utility components that lie beneath the multi-purpose path that was constructed along and above the East Shore of Lake Tahoe. Some of the most impressive aspects of this multi-agency project are the cavaliering bridges that tie the entire path together. There’s a great video on this link that shows the activity that occurred in early December. Be sure to check it out. And, next summer, be sure to bring the family, your dogs, and your bikes to experience it for yourself!